On Friday, October 12, 2018 the Centro de Amistad Senior Center in Santa Clara switched to an all-solar system. Cornerstones, in partnership with Remy’s Good Day Fund, granted New Energy Economy funds to assist in the installation. The revenue saved will be re-invested in the senior center and its programs, which include the only meal of the day for many of the 100 seniors served and the only opportunity for socialization. Dozens of local elders and area leaders turned out for a green ribbon cutting ceremony to celebrate the completion of a 19 kW solar array that will virtually eliminate the center’s electrical costs and reduce yearly electricity bills by $8-$10,000 for the Village of Santa Clara, helping to redirect funds back into community. It will also reduce CO2 emissions by nearly 900,000 lbs. - the equivalent of Not Burning 368,000 lbs. of coal! In 1998, the Los Pueblos Community Council envisioned The Ribera Community Cultural Center in Ribera, NM. They re-purposed the old Ribera School the Old Ribera School into a much-needed community center for gatherings, art exhibits and classes and other community-focused activities with the intent of enriching the lives of those living in San Miguel county. Gloria Luz Gonzales, Director, Los Pueblos Community Council, has been instrumental in the entire 10-year project. When funding for solar panels was offered by Cornerstones during the reconstruction process, she realized the potential of it to save money that could be used to support projects at the center. She also saw it as a teaching moment. 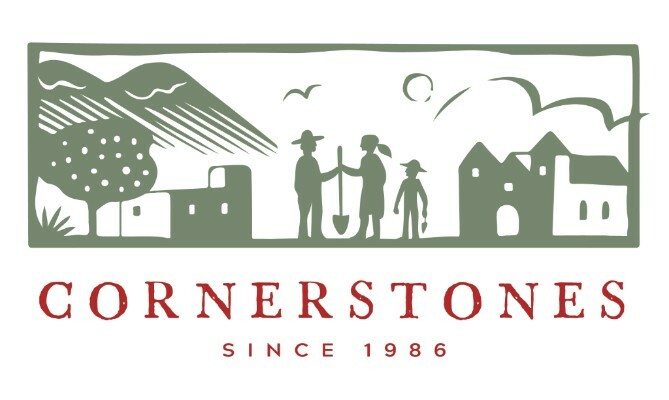 In February 2018, Cornerstones, in partnership with Remy’s Good Day Fund, granted the Cultural Center funds to install 14 solar panels to provide the hot water supply for radiant heat throughout the building. The installation was completed on September 10, 2018. 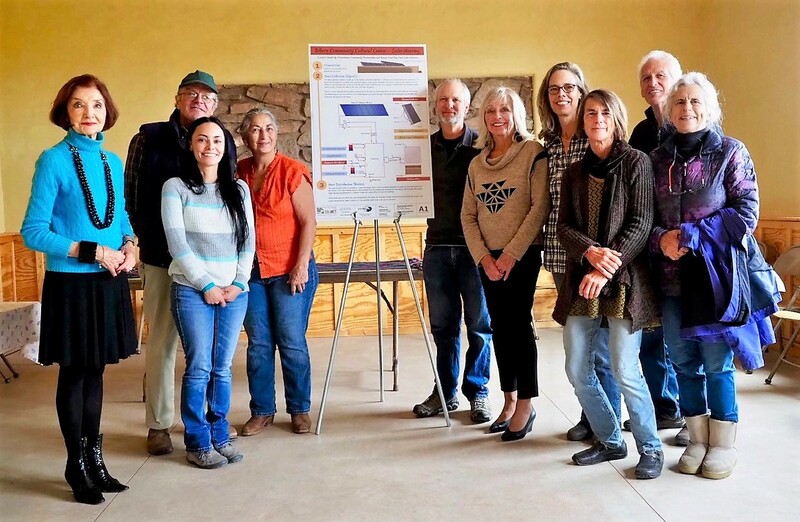 On October 24, 2018 at 10AM, Cornerstones presented the Community Cultural Center with a poster explaining the new solar thermal system. 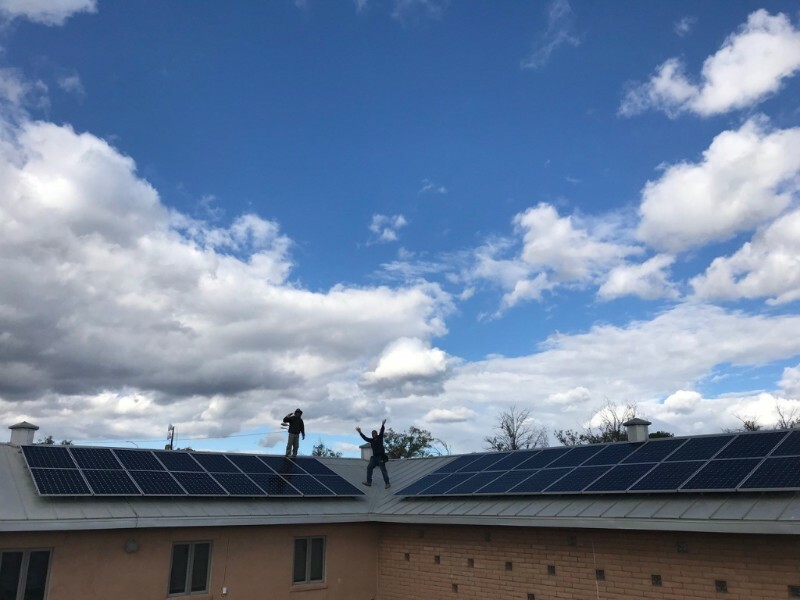 Partnering with Remy’s Good Day Fund, we at Cornerstones have created a Solar Initiative directed toward job training, and the installation and maintenance of solar systems on Tribal lands and in economically challenged northern New Mexico villages. We support job training for youth, the unemployed and underemployed which enhances economic opportunity for both the individual as well as their community. Solar power also offers health benefits and cost savings. 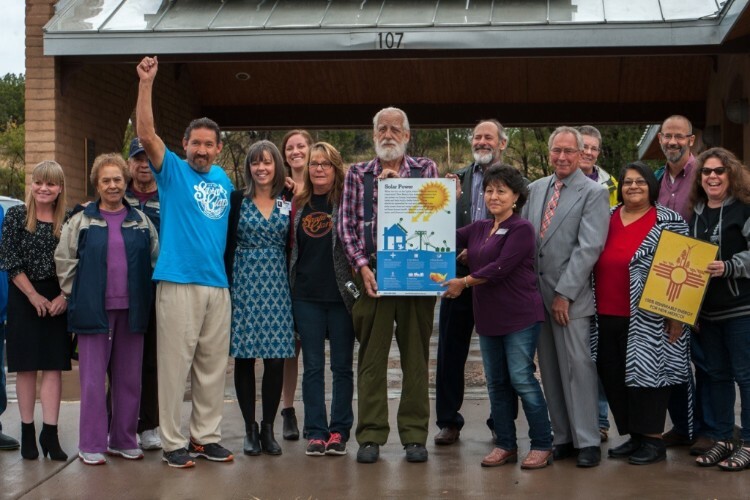 We are delighted to be part of the solarization of the Santa Clara and Ribera centers and look forward to helping other communities in New Mexico strengthen ties and improve economies. New Mexico ranks second in the nation for solar potential. but has been slow to act on this fact. Cornerstones and Remy’s Good Day Fund intend to change this!